One of the larger houses in Ping Yao. 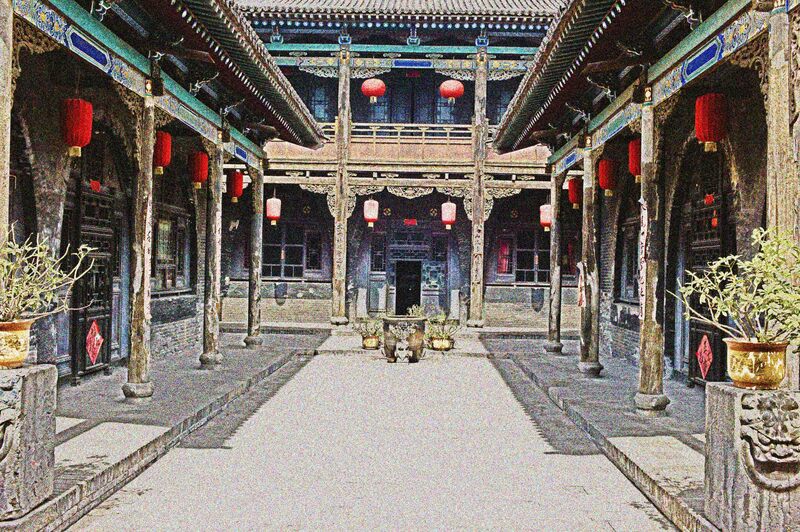 This was the main inner courtyard with three sides of living accomodation the end one having two floors so this was a wealthy and influentual owner. I wanted this image to have a slightly aged feel to it with the colour being slightly muted and faded also some grain to add texture to the aged look, hope you like it?